We know that buying large plants for your garden can be a daunting experience. With the extensive range of plants available it's easy to be bewildered by all the choice but our trained professional staff are always on hand to guide you through the selection process. We offer free advice on the choice of plants that will not only suit the soil type and location required, but will also help you achieve the style you want from your garden. With an enviable reputation based on years of experience we can recommend solutions for even the most difficult of spots. Planting large trees and instant screening does take some planning, so we're happy to visit your garden to check on access, logistics and soil conditions as well as to determine your requirements. We will discuss the different options available with you and then quote you a competitive price for professional planting, inclusive of any compost, plant food, stakes and watering tubes if required. Following your acceptance of our quote we'll organise the delivery of your purchases and arrange for the full planting service at a mutually convenient date. Using our all in one service gives your plants the best possible start in life. You can be certain that your plants will get the very best treatment, from the soil and rootball preparation stage, including installation of watering tubes where necessary, right through to the soil stabilisation and staking stage. Our trained friendly team will ensure that all this work is done for you with the minimum of disruption in a fast and efficient manner. Using our planting service is definitely a 'win-win' option for you. We do all the hard work, you get the peace of mind gained from knowing that the full process has been expertly managed by professionals, and in the unlikely event of any plant failure within 2 years, assuming it has been adequately watered and maintained, we offer a full no-quibble guarantee. By using our services we want you to rest assured that all you now need do is to sit back, relax and enjoy the garden! We pride ourselves on supplying a wide range of large trees and shrubs, in either singles or multiples. Large plants are invaluable for providing instant style and impact to a garden - why wait for a garden to develop when you can achieve the garden of your dreams now? One of the most common uses of large plants is for screening. Clever planting can make your garden a private oasis; privacy can be ensured by choosing the right plants and positioning them in the right place. Tall screening without too much bulk at the base can be achieved using a range of what are known as full standards; plants with clear stems and leaves and branches at the top. The clear stems of these full standards free up space at the base for other ornamental planting or garden features. 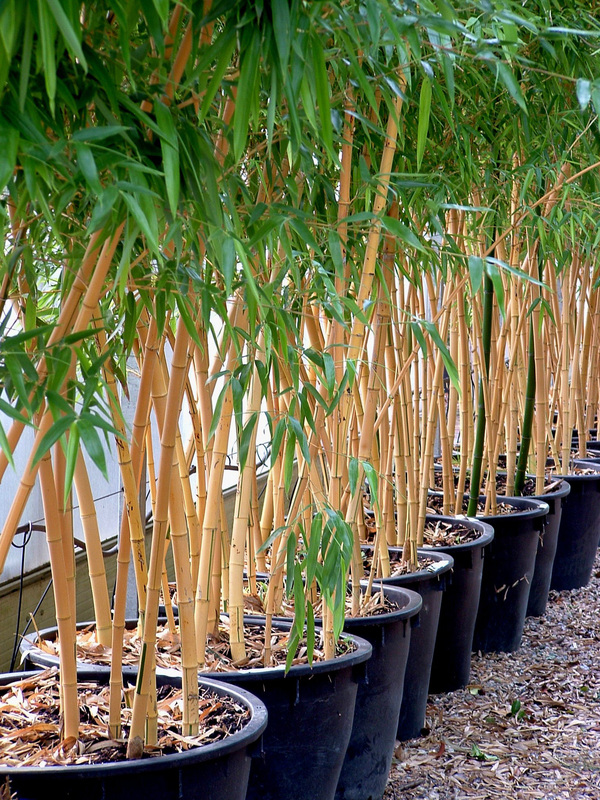 Large hedges are also much in demand and we can offer an extensive range of hedging plants all year round, in all sizes and varieties - as well as other large screening plants such as bamboo. We loved our beautiful secluded garden so were worried when our neighbours built an upper-storey extension. But thanks to Clifton Nurseries and some tall Photinias our privacy has been restored. We understand that selecting and planting large trees and shrubs is a job requiring specialist skills and often specialist equipment, all of which can be provided by our planting service. Not only can we advise on the right choice of large plants to suit your requirements, but you and your garden can also benefit from our years of experience and expertise when you choose our planting services.